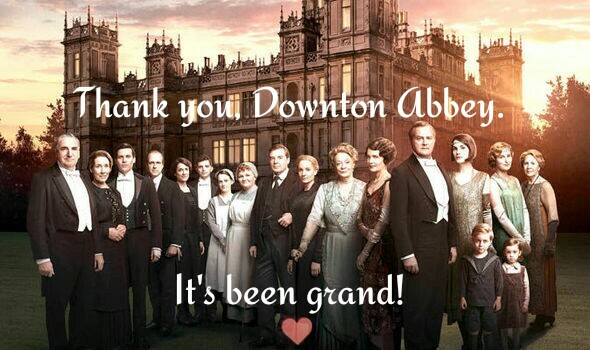 Tonight we Yanks settle in for the final episode of Downton Abbey and I don't know about you, but I intend to enjoy my last moments of my favorite lords, ladies and post-Edwardian, upstairs-downstairs hi-jinks with a nice vintage cocktail or two! The new cocktail rage from across the pond (that would be us upstart Prohibition defying folks here in America) was introduced to the Crawley manse in the past few seasons, bringing some good old Yankee know-how to the liquor cabinets of the social hierarchy of Yorkshire. As top hats and tails gave way to tuxedos and the landed gentry saw their world turn topsy-turvy, glasses were filled with a widening array of early twentieth century libations as the upper classes of British society embraced the American happy hour. The Crawleys' world changed and their drinking habits followed suit. 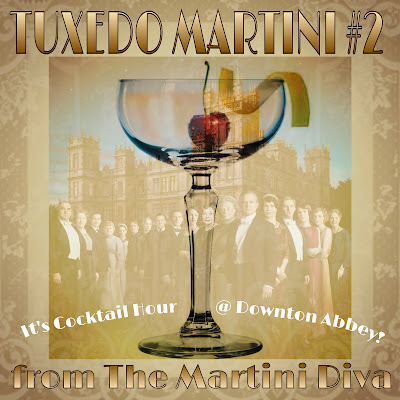 For this final episode enjoy this vintage taste of the era, the Tuxedo Cocktail #2 which makes use of two ingredients stocked in all proper English parlors, gin and sherry. It then goes all speakeasy and gets downright flapper on the English aristocracy with some serious Volstead Act nose-thumbing spirits.